We strive to elevate our artist community by providing a positive environment within the urban youth culture - promoting the growth of dance and creativity throughout the world. The classes provide an education from a top-tier instructor in the global dance industry and community! Geared towards advanced/professional level dancers & usually focused on challenging choreography, train to understand and embody the etiquette, focus and skill it requires to become a successful dancer in and out of the studio. The mL Studio is a home where community lives. We hope dancers find this studio a place they can identify with and depend on for quality teaching/training. Come learn in a warm and friendly environment! Make mL Studio the foundation from which you can grow in your journey of becoming a professional dancer or choreographer. Take ANY class; valid up to one full year from original date of purchase. Fourteen dollars per class; with a savings of five dollars why not treat yourself with a nice bottle of water... or go see our front desk and ask about our Generosity Water! Thirteen dollars per class when purchased. Now, what are you going to do with the twenty dollar savings you just made?! Maybe purchase another class... the choice is yours. Twelve dollars per class. STOP! Wait a minute, you just saved sixty bucks! Go on - you deserve that new mL logo tee you've been eyeing in the lobby. Eleven dollars per class... guess how much you just saved? Yup, one hundred and twenty US dollars! Enough to buy one single class for eight of your friends. Really?! UNLIMITED? Take as many classes as you want... try to beat the record of eighty-two classes in one month and your classes can cost up to four dollars. **Class cards must be ACTIVATED within thirty days of purchase; any time after that you will lose your classes - no exceptions. **ALL Class Cards are valid for thirty days from your FIRST class. **Single Class and Class Cards are NOT valid for Masterclasses. Please input your legal name. Please use a working number. When should we be expecting you? The following information will help provide our staff enough time to create your accounts. How many, in your group, are less than 18 years old? If you answer yes, to the previous question please fill this out, if not - please move on to the next question. If you have any questions whatsoever please do not hesitate to let us know and we can further assist you. One of our friendly staff members will be in touch with you as soon as possible. Want to rent the space? Our studio(s) are available for rent! Go ahead and contact one of our friendly staff members and they will gladly be of assistance. $110 / hr *Please allow 48 hours for preparation. Includes basic rental above PLUS access to our back patio, blacked out mirrors, and additional stage lighting! Rentals are confirmed on a first come first serve basis. 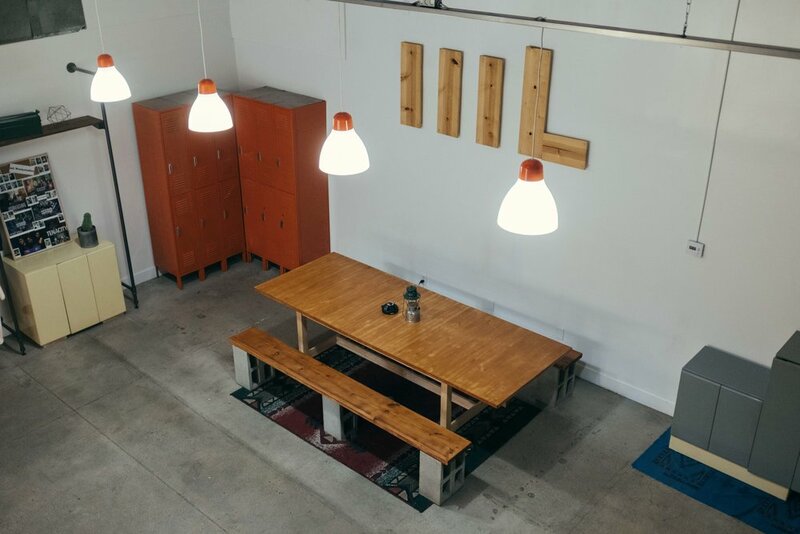 Reservations are made in person at theSTUDIO, over the phone, or via email (rentals@themovementlifestyle.com). In order to confirm space, an account will be created for you including information such as, but not limited to, company name, contact name, contact phone number and email, a signed liability waiver, and credit card information. At the time of booking, pricing for the total rental will be calculated. The rental must be paid in full prior to the rental start time. For rentals of 5 or more hours, a non-refundable 25% deposit must be made to confirm the space. For further information on deposits, please see CANCELLATIONS. If a rental request runs for multiple days/sessions, a payment plan may be discussed with the Studio Manager prior to confirmation. The client is allowed one (1) parking spot for the duration of the studio rental. Other patrons are NOT allowed to park in the studio parking lot. The client may request for additional parking spaces and must be approved 24 hours prior to the scheduled date. Each studio is equipped with dual full-sized speakers and a soundboard with an auxiliary cable connection for your music source. The client is responsible for any damages occurring during the rental time and will be billed accordingly. Fog machines, or devices that produce any form of vapor; including Electronic cigarettes, are strictly prohibited due to the sensitivity of our Air Conditioning units. Please see any member of Movement Lifestyle staff or the studio manager for assistance with sound equipment if needed. 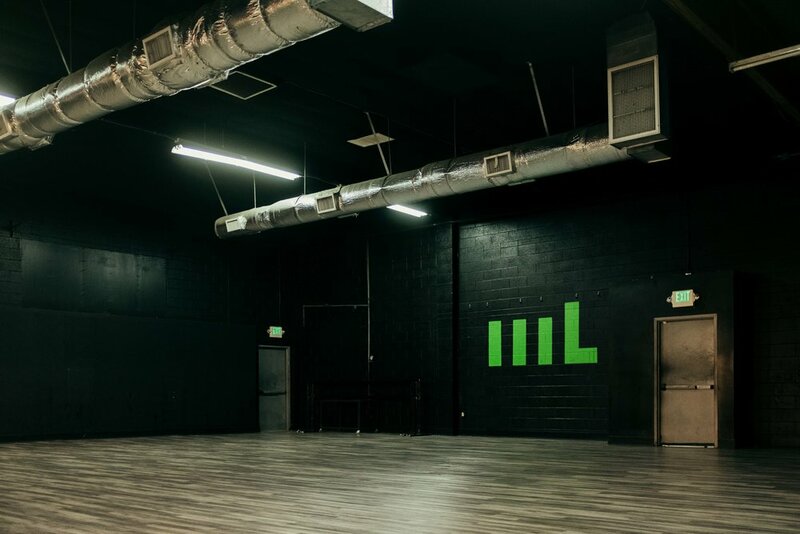 If an admission fee is being charged upon entry of the studio, the client will pay an additional 5-10% of total gross admission sales to Movement Lifestyle. Gross sales percentage may be altered on a case by case basis. If merchandise is to be sold on site, the client will pay 20% of all merchandise sales to Movement Lifestyle. If the client does not comply to 20%, client merchandise can not be sold on the premises. If the client is using property for media purposes an additional addendum will be added to this agree below labeled “Addendum A”. The client, without consent, may not use the Movement Lifestyle logo, which consists of three bars and an "L." A request must be submitted to the studio manager prior to the creation of promotional material such as, but not limited to flyers, postcards, and social media posts. Only after approval may the "mL" logo be visible on such materials, the client will otherwise be subject to possible rental termination if these guidelines are not met. Food and beverages, except water bottles, are NOT ALLOWED in the studio space. They must remain in securely sealed containers among personal belongings or stored in the studio lobby at all times. NO EXCEPTIONS. Movement Lifestyle reserves the right to immediately discard any and/or all unapproved edible items in either studio at any time. 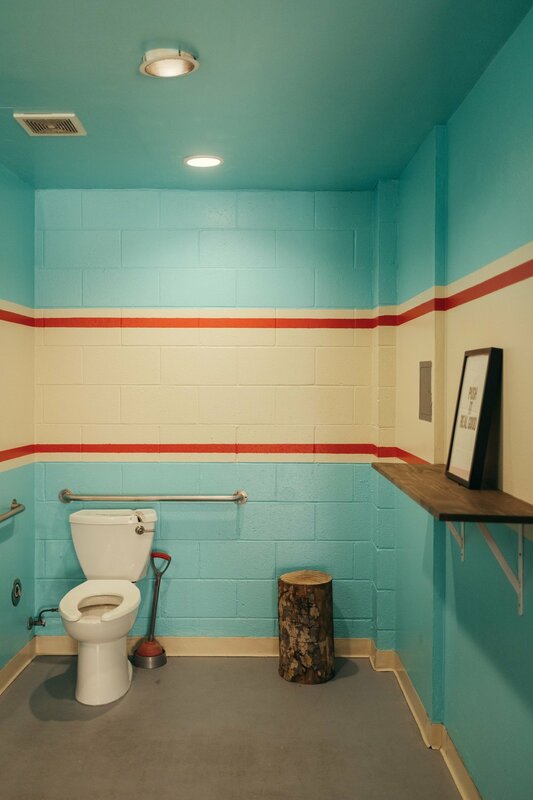 The client is expected to leave studio space and included amenities in the same condition as it was prior to rental start time. If any large amounts of discarded items are left behind, you may be billed a cleanup fee up to 150 US dollars for the amount of time it takes to restore the studio to its original state, especially if it results in a staff member on duty needing to stay after hours to complete the task. Cancellations must be made at least 24 hours in advance to prevent late cancellation fees. If a deposit has been made, it will be credited to the Movement Lifestyle account used to book the rental, it cannot be returned in cash or onto a credit card. Late cancellations (made less than 24 hours in advance) will be charged 25% of the original rental cost. If a deposit has been made, it will be used to cover the late cancellation fee and not credited to the account used to book the rental. No Call/No Shows will be charged 50% of the original rental cost. If a deposit has been made, the client will be notified via email and the remaining 25% will be charged to the card on file. Client agrees to use reasonable care to prevent damage to the property and will indemnify the undersigned Owner and all the parties lawfully in possession of the property, against any claims of any party arising out of or based upon personal injuries, death or property damage suffered by such party and resulting directly from any act of negligence on Client's part in connection with the use of the property and the work described herein. Due to the fragile state of our dance floor(s), we ask that Tap Shoes, or any other form of metallic cleats, will greatly reduce the longevity of our flooring and will be prohibited. Any and all claims of damage and/or injury shall be presented in writing to the client within thirty (30) days after the initial rental date. In the event, Owner alleges client has damaged the property, client reserves the right to repair the property prior to Owner engaging any third party to make any repairs. Client presence is completely voluntary upon entering the premise at 11105 Weddington St. North Hollywood, CA91601. Client agrees to hold Movement Lifestyle, LLC, its officers, directors, staff, employees and independent contractors, volunteer helpers, and landlords 100% harmless for any and all injury that may result from client’s use of the property. Movement Lifestyle, LLC operates the www.themovementlifestyle.com website, which provides the SERVICE. If you are apparent or guardian and you are aware that your child has provided us with personal information, please contact us so that we will be able to do necessary actions.